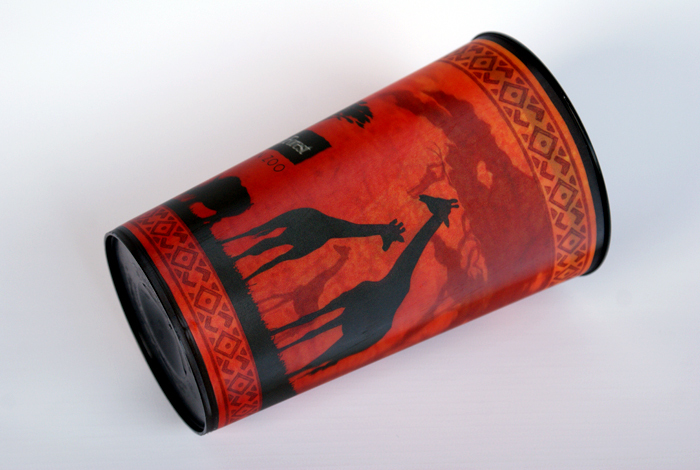 The Hous­ton Zoo sou­venir cup was designed in a part­ner­ship with the food ser­vices provider, Sodexo. 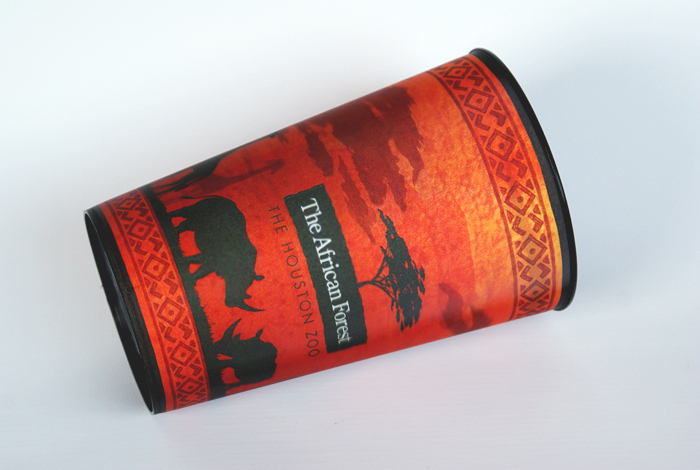 The Hous­ton Zoo need­ed a new design for the sou­venir cup that sup­port­ed the zoo’s mar­ket­ing cam­paign for the African For­est exhib­it and raised aware­ness towards ongo­ing con­ser­va­tion efforts at the zoo and world­wide. 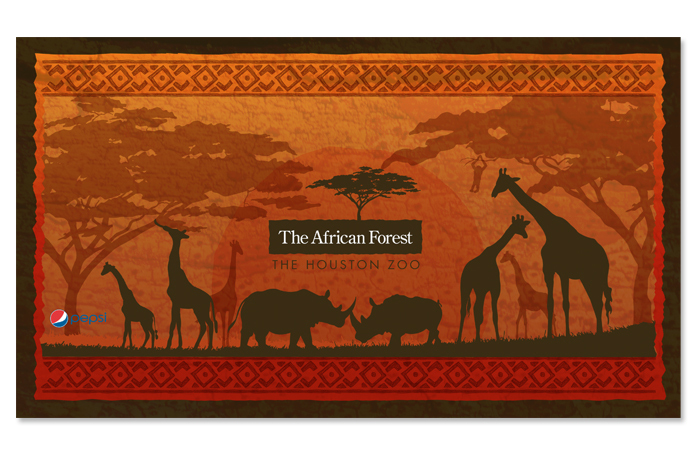 A design was cre­at­ed to evoke the warmth of Africa and the main fea­tured ani­mals at the African For­est phase one: giraffes, chimps and rhi­nos. The cup quick­ly became a col­lec­table and huge suc­cess — rais­ing aware­ness for con­ser­va­tion and reduc­ing waste by allow­ing vis­i­tors to get dis­count­ed refills with the cup.